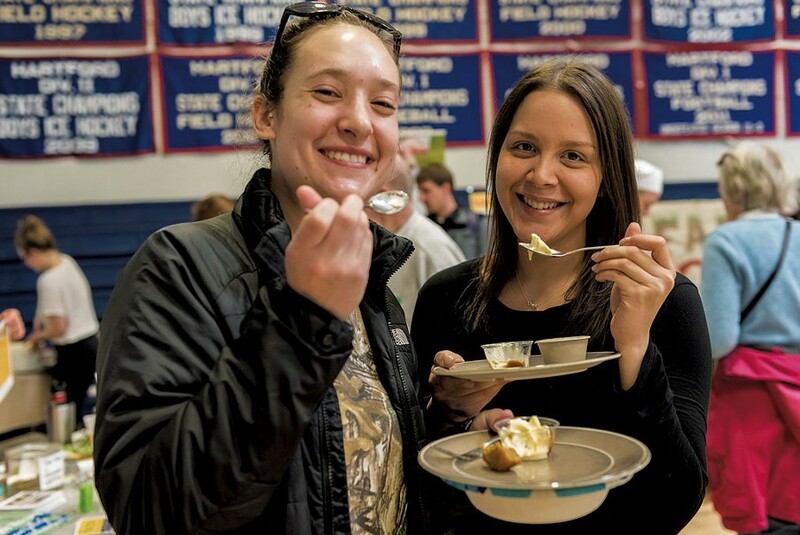 For its 18th annual regional tasting event, Vital Communities gathers dozens of Upper Valley farmers and food artisans in the Hartford High School gymnasium. Wake up with java from Upper Valley Coffee Roasters (with or without fresh local cream! ), then sample cheeses from Spring Brook Farm, goat's milk gelato from Sweet Doe Dairy and yogurt by Norwich Farm Creamery, along with health-giving liquids from JUEL Juice + Smoothies, baked goods, breads, catered dishes and other handcrafted eats. Flavors of the Valley: Sunday, April 7, 11 a.m.-3 p.m., Hartford High School, White River Junction. $10-35. Info, 291-9100, vitalcommunities.org/flavors. Sparkling Wine Weekend: The winemakers at Lincoln Peak Vineyard show off two new "fresh fizzy" pétillant natural wines, plus five still vintages. Saturday, April 6, and Sunday, April 7, 11 a.m.-5 p.m., Lincoln Peak Vineyard, New Haven. Tastings, $7. Info, 388-7368, lincolnpeakvineyard.com. Lion Turtle Tea x CO Cellars: Bao & Before Sunrise: Cellar visitors pair steamed buns and spring rolls from Burlington's forthcoming teahouse with a fresh new sparkling ferment from ZAFA Wines. Saturday, April 6, 6-10 p.m., CO Cellars, Burlington. Cost of food and drink. Info, cocellarsvt.com. Sugar Shack: Misery Loves Co. celebrates the tapping of the trees with an after-work feast of maple-infused small plates, larger plates and desserts. Wednesday, April 3, happy hour snacks, 3-5 p.m. ; dinner, 5-9 p.m., Misery Loves Co., Winooski. $65. Reservations. Info, 497-3989, miserylovescovt.com. Eat This Week Hartford High School Lincoln Peak Vineyard CO Cellars Misery Loves Co.